Jack Sparrow Is Back In Action! Pirates of the Caribbean: Dead Men Tell No Tales has begun production in Queensland, Australia. Johnny Depp returns to the role that made him a box office giant . On Dead Men Tell No Tales, the ghost of an foe returns to plague Jack even s his luck is in a downward spiral. Javier Bardem, Kaya Scodelario, Brenton Thwaites and Golshifteh Farahani join the Captain Jack Sparrow Saga. Geoffrey Rush, Kevin R. McNally and Stephen Graham return. Dead Men Tell No Tales is directed by Espen Sandberg & Joachim Rønning (Kon-Tiki). For more, follow the jump. Exclusive: Eric Bana and Jerry Bruckheimer Talk Deliver Us From Evil! Deliver Us From Evil is a crime-thriller horror movie directed by Scott Derrickson who also co-wrote the screenplay with Paul Harris Boardman. It follows Irish Catholic New York police officer Ralph Sarchie (Eric Bana) who begins investigating a series of disturbing crimes. Despite his beliefs, he joins forces with renegade priest Mendoza (Edgar Ramirez) who uses exorcism rituals to fight the demonic possessions and solves the case. The film is based on a 2001 book Beware The Night by Ralph Sarchie and Lisa Collier Cool, which details horrific real-life cases. The film opens on July 2, 2014 in theatres nationwide. Deliver Us From Evil director/writer Scott Derrickson, producer Jerry Bruckheimer, and actors Eric Bana, Edgar Ramirez, Olivia Munn, and Joel McHale came to WonderCon to discuss this suspenseful film. 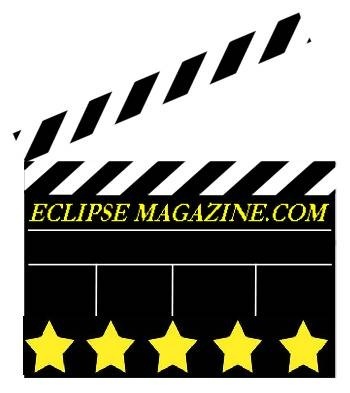 Our own Lora Bofill caught up with director Scott Derrickson, producer Jerry Bruckheimer and actor Eric Bana to get the scoop on this supernatural thriller. 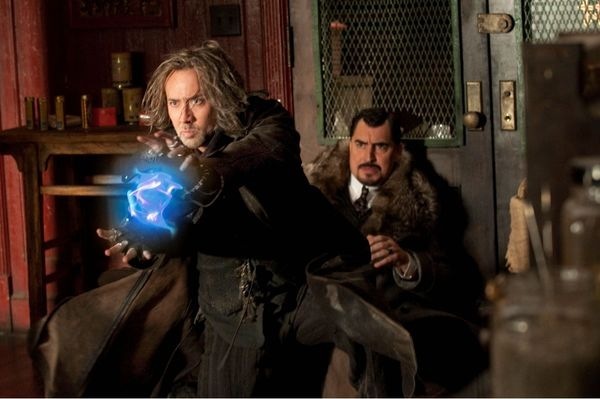 First Look: The Lone Ranger! Remember that Lone Ranger movie that Disney de-greenlighted because of budgetary concerns – and was restructured to fit their requirements? Well, it’s being filmed as we speak – and we have our first look at Johnny Depp and Armie Hammer in the lead roles. Tagline: From producer Jerry Bruckheimer and director Gore Verbinski comes Disney/Bruckheimer Films’ THE LONE RANGER. 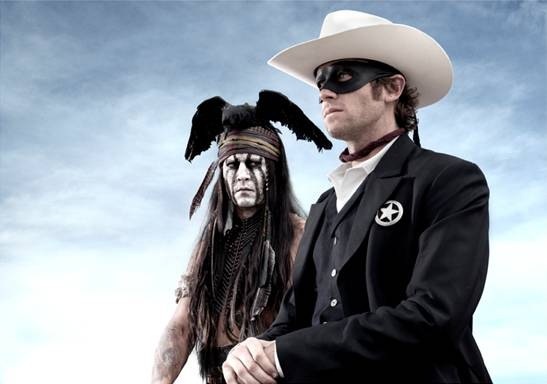 Tonto (Johnny Depp), a spirit warrior on a personal quest, joins forces in a fight for justice with John Reid (Armie Hammer), a lawman who has become a masked avenger. Michelle Likes Transformers: Dark of the Moon! Pirates of the Caribbean: On Stranger Tide Sinks, Michelle’s Murky Review! 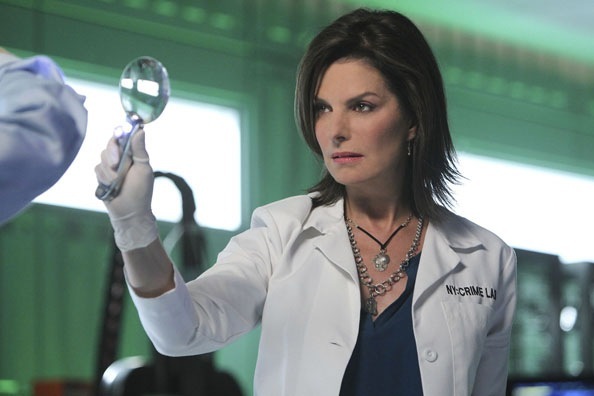 CSI: New York Welcomes Sela Ward’s Jo Danville With a Murder in the Lab! 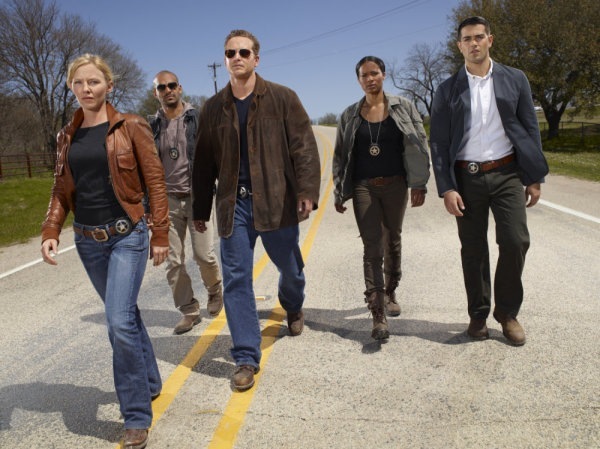 CSI: New York [CBS, Fridays, 10/9C] enters its seventh season with a key personnel change. Gone is Detective Stella Bonasera [Melina Kanakaredes] and joining is former FBI Agent Jo Danville [Sela Ward]. On her first day, it’s her great good luck to walk into the empty lab [everybody’s gone to attend Lindsay’s [Anna Belknap] medal presentation – see last season’s finale for the reason why] to find the dead body of a young woman. Welcome to New York, Jo! Bruckheimer’s Chase Lives Up To Its Name! Hollywood is having the same financial ups and downs as the rest of business world. On the down side, MGM , which is almost $4 billion in debt, said on Thursday that its lenders agreed to let it skip interest and principal payments until July 14. In a news release, the struggling studio said “The lenders took this action in support of the company’s ongoing efforts to evaluate long-term strategic alternatives to maximize value for its stakeholders.” While MGM is treading water to keep from sinking, the creditors are attempting to fend off a take over bid by Time Warner, whose offer they feel is way too low. The creditors are instead trying to figure out a way to restructure the company and keep it as a stand-alone studio. Village Roadshow, which was formed in 1997, has been one of the industry’s leading financiers and producers of studio released motion pictures. Sixty-one of their library of sixty-five movies have been released in partnership with Warner Brothers. This is the longest running partnership that the venerable studio has had with an independent production studio. Outside of these ups and downs, a lot of new projects are in the works for the folks out in Hollywood land last week. Here is around up of the movies audiences can look forward to seeing. Prince of Persia The Sands of Time fails to be Epic, Michelle’s Review! I don’t know. I just don’t know…. I’m not sure if I really liked Prince of Persia or not. I’m not one of these critics who have an irrational hatred for all things Jerry Bruckheimer, I actually love most of his movies (except the Transformer series) and recently watched Armageddon again on Blu-ray and still love that movie – it makes me cry every time, yeah I’m a Sap. So back to Prince of Persia, I honestly don’t know if I liked it or not. I will say it’s the best video game movie – ever, but that’s damning the movie with faint praise.